Aston Martin Red Bull Racing has announced a new partnership with global cryptocurrency, FuturoCoin. The partnership represents the first time a cryptocurrency has sponsored a team in Formula One, and marks another exciting step in the development of this industry. "In recent years, the rise of blockchain technology and cryptocurrencies has been truly remarkable, and we're delighted to be the first Formula One team to embrace this, through our partnership with FuturoCoin," said Christian Horner. "Secure digital currencies are on the leading edge of technological development and we are very excited to be part of this revolution." 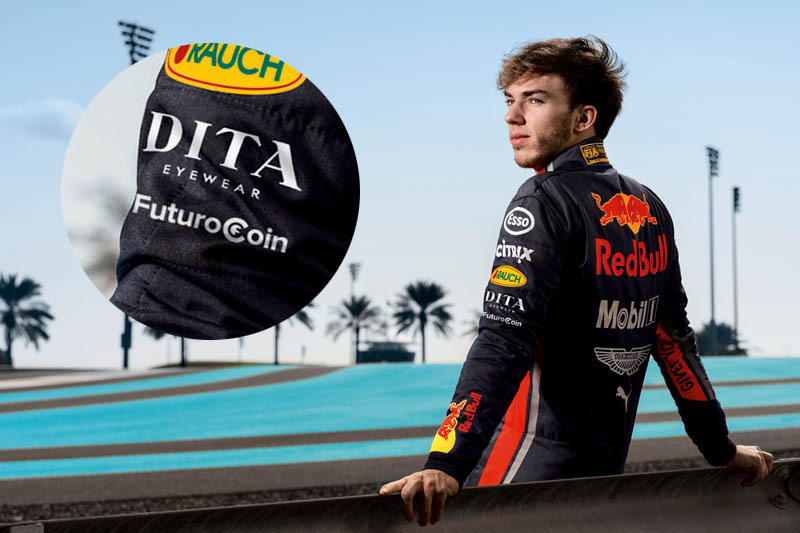 The multi-year agreement will see FuturoCoin branding feature on the Aston Martin Red Bull Racing RB15, team transporters and drivers' overalls. "Cryptocurrencies and Formula One are very similar and their values are much alike," added Roman Ziemian, co-founder of FuturoCoin; "speed, technology and being ahead of their time. I'm a huge fan of motorsport and F1 has always intrigued me. The sponsorship is an exciting new chapter for our company and will be a global platform for us to drive awareness of FuturoCoin." "We are very proud that FuturoCoin will be the first cryptocurrency in the world to appear on a Formula One car," said Paulina Wozniak, CEO of FuturoCoin's management company. "In addition, we are looking forward to working alongside Aston Martin Red Bull Racing, a prestigious brand that is recognised across the world." "This is big news from FuturoCoin! For me, one of such big advantages is the strengthening of cryptocurrency as a serious thing that has potential and can be a partner for other brands. Such cooperation can’t be missed in the world of F1 and cryptocurrency." "In my honest opinion it's absolutely brilliant. This sponsorship will raise the awareness of the F1 audience on crypto trading. Of course, it will be beneficial for FuturoCoin project and their coin price. And RBR Team will be linked with innovation - this is first cryptocurrency F1 sponsorship ever! " "Sorry Mr Horner, the money's in the laptop and we've lost the password. "I’m sure Christian and his drivers will be happy to be paid in imaginary money."